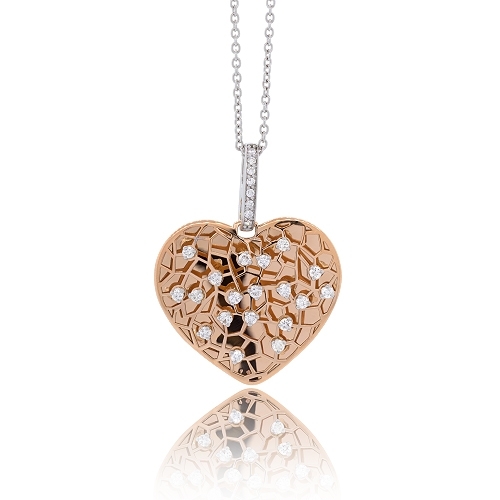 18k rose gold heart with honeycomb design and prong set white diamonds. Diamonds approx. .56ct. Pendant 16".